When you work in an office all day you probably spend some of it dreaming about golf. It's one thing most executives share as a common hobby. That is why office golf gifts are so popular. They are fun gifts that everyone enjoys. However, some are better than others. Crystal Golf Ball - Use as a paperweight, or engrave as an award. This real crystal golf ball is a great decoration and a fine accent for any desktop. It's ideal for men, women and top executives. It's made by a top awards manufacturing company. Golf Wine Stopper Set - A classic, with two golf ball wine stoppers and a wine opener corkscrew. This is a classic office golf gift idea. It can also be engraved, so you can personalize several of them and get your shopping done in one day (so you have more time on the links). Golf Club Pen Stand - A fancy pen stand for the office. 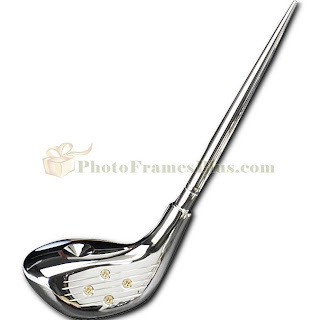 This silver golf club driver is really a pen stand with a highest quality writing implement. Golf Wall Clock - The golf wall clock is made with a high accuracy quartz time piece set into a burlwood base. This is an elegant and useful gift for the office. It's perfect for the upper tier executive or up and coming upstarts. See more golf gifts for the office here. As a manager your job is not just about oversights and signing time cards. It's about raising the level of play of each one of your employees. Everyone knows that you can really only give so many rousting speeches before people just start to tune you out. That's why you need motivational gifts to inspire and motivate. It gives everyone something to shoot for and its much more effective than a compliment or pat on the back. Here are the top motivational gift ideas used by today's best companies. Together We Can Motivational Gift - Not only does this motivator send the right message it does it with style that everyone can appreciate. The main focus here is team work and that no one single person can accomplish a task, it takes the hard work of everyone involved. When a company rewards everyone, instead of singling just one person out, it is more effective because people are not alienated and don't feel cheated out of recognition. Use this in tough times, good times or anytime you reach a goal or need a lift to make an important quota. Nothing Happens... Until Someone Makes it Happen - This motivational award idea says it all. It sends the message that you can't achieve greatness without someone striving to make it happen. This award shows employees that good things won't happen just by sitting around. Those that respond will reap the benefits. It is made for the company that needs someone to step up and take charge. Motivational Gift of Determination - This gift pushes employees to act and take control of the situation. If your company needs someone to establish direction, or needs employees to take control of their own destiny, these motivational gifts are for you. It says, "The best way to predict the future is to create it." For companies that are growing, and need strong leaders. There are many more motivational gift choices that are perfect for your business. If you own or work at a business that pride's itself on it's American roots, then celebrate this patriotism. 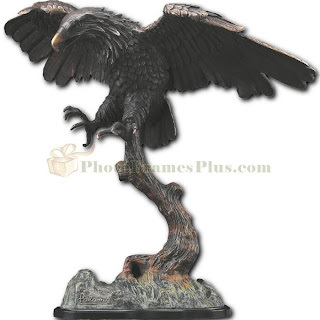 A classic Bald Eagle Sculpture is an ideal way to show your clients what you are made of. It represents the American dream, freedom and grace. It's a proud piece of American office decor. There are a few good examples of American Bald Eagle Sculptures. These are crafted from detailed sculptures that bring to life the best qualities of the symbolic bird. A bronze American Eagle Sculpture is also a great gift to anyone who respects and appreciates our countries ideals. For the most decorative office statue choose the Bald Eagle Sculpture, real true American office decor. It shows patriotism and respect for freedom. If you are hosting an office golf tournament and need a realistic, classic and professional golf trophy to make things more interesting you have some great choices. There are many high quality golf trophies that will inspire your competitors. First decide what type of tournament you are running. A classic tournament requires a traditional golf trophy. A bronze golf trophy or award is ideal for this kind of event. Choose one that features a golfer in a traditional pose like teeing off, or lining up a putt. On in particular is an excellent golf trophy. It features a dynamic, lifelike golfer in a tee off pose. Made of bronzed metal, it also has a traditional style. You can engrave that base with your tournament name and date as well as the name of the winner. This classic golf trophy will forever memorialize your event. It looks amazing on a shelf on in the trophy case. See this golf trophy and many more right here. This one comes in three sizes for first, second and third place. A unique office gift for business people and wildlife enthusiasts is the Turtle Statue. It is a conservation gift idea that outdoors enthusiasts and wildlife conservationists alike will enjoy. Animal statues are always a great gift. They are also a way to improve the atmosphere in your office. Nature statues can help you feel like you are outdoors and in a more natural setting. The turtle statue, due to the passion of many who are trying to preserve sea turtles, is also a conservation gift. It will show your own concern over conservation issues and it is really quite decorative. As a business gift this is ideal for someone who shares you enthusiasm for wildlife. The Turtle Statue and many more animal statues become memorable gifts that really stand the test of time. Use these popular animal statues as gifts, awards or special decorations in your home or office. The top three golf gifts for the office are now on sale at Photoframesplus.com. These golf gifts include the best ideas for the corporate office, clients, golf buddies and fanatics. These top golf gifts are exceptionally well tailored for your desk top. They express an interest in golf and they are also functional. Take a look at our top three golf gifts and share your own ideas by posting a comment below. Golf Bookends - a Classic gift idea for anyone from a tournament pro to the office golf fanatic. Golf bookends are really a great idea for any occasion too. They are ideal for holiday, birthday and anniversary gifts. Crystal Golf Ball - A crystal golf ball is perfect for any occasion too. It is also decorative and versatile. It can be used as a paperweight or to spruce up the office. Golf Sculptures - A golf sculpture is an ideal choice for your golf gifts. 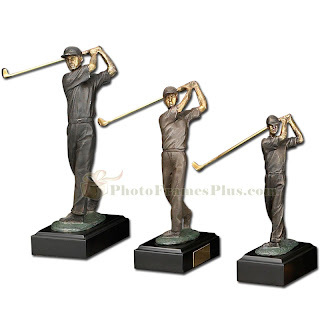 Find several different kinds of golf sculptures for a birthday, anniversary or as an award. These are the best golf gifts for most any occasion. Find more golf gifts right here. Are you looking for a Classic Car Enthusiast Gift idea? The 1930s Baby Bugatti Pedal Car is a one of a kind gift for any car enthusiast. It's designed to be an exact replica of the classic 1930's Bugatti sports car that was so rare and eloquent. It is only being produced in a limited number of 499 cars today. Made by Authentic Models it is an exact replication with real black leather seats, aluminum coach work and more exquisite details. A genuine classic car enthusiast gift. Perfect for the collector and established car buff. This is an original reproduction of the famous Bugatti sports car. This Classic Car Enthusiast Gift, a 1930s Baby Bugatti Pedal Car is on sale at Photoframesplus.com. Order it today to complete your collection. The Dacasso Black Leather Conference Room Set is an ideal choice for your corporate board room or conference center. It features premium, hand pulled black leather on square desk pads with a classic but modern style. The Black Leather Conference Room Set is not just made to impress, it is made to endure. The high quality leather lasts a long time and ages gracefully. The set includes coasters and pen stands, so each guest at your conference has a complete workspace in front of them. There are few more prestigious and recommended conference room sets than this Dacasso Black Leather Conference Room Set. It is available today, through our store at a very low price. You can also save an additional 10% when you use the coupon code SAVE10. It also comes with a desk pad holder. Order this premium, luxury conference room set today. If you want to save money on office supplies today then you should be scouring the internet for great deals. That's fine, but what you will soon learn is that most deals come with catches. Some may be discounts on products that are clearance items, which few people want. Still others just don't end up to be the same deal or savings they first started out to be. Save 10 percent on these desk accessories with the coupon code below. One way to weed out these non-deals is by looking for coupons to save money on office supplies that come direct from the stores themselves. Make sure the stores have a low-price guarantee and that they still carry high quality items. This way you can save money on office supplies you really want. Office supplies can be made very cheap and in large quantities, but don't fall into the trap of buying them just to save a buck. You will spend more in the long run. Save money on office supplies with this 10% off coupon: SAVE10. El Casco is well known for making the highest quality office supplies and they have been doing so since the early 1900's. From gold pencil sharpeners to silver memo holders they design hand crafted, hand polished masterpieces that are works of art. Imported from Spain, these artisan made office supplies are ideal as special corporate gifts. And now, since the economy is still recovering, Photoframesplus.com is offering a 10% discount on these items. All El Casco office supplies are on sale. Just use coupon code SAVE10 when you check out and your order will be 10% off. Beautiful El Casco office supplies are excellent choices for your next corporate gift idea. Saving a bundle is also a priority today. So, do both and order your El Casco office supplies from us right now. They are ideal corporate gifts. View all of our corporate gifts today. Where can you find executive birthday gifts for her that suit your profession and are appropriate for your company? There are many choices available but first you need to decide on what are the right birthday gifts for her. Does she have a hobby, or is something related to the office a good choice? If it is the former try to connect with her hobby by giving an executive gift that relates to it. If it is the latter a stylish office accessory is a perfect choice. Paper trays, memo holders and other related accessories are great birthday gifts for her. If you want to do something more personal consider giving her an engraved gift idea she can use on vacation, like a travel jewelry box or cosmetic case. These are great gift ideas she will love. This black leather desk set is an incredible, genuine leather desk set. It features top quality leather and all the most important accessories, including a memo holder, card holder and blotter plus more. 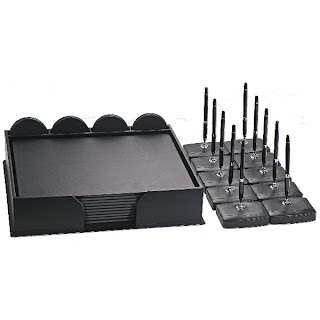 A genuine black leather desk set can really improve your office. Leather is an authentic, sophisticated way to outfit any office. It shows style and taste. This black leather desk set is also on sale. Just use this discount coupon code and receive 10% off the listed price. Now is the perfect time to improve your office. Take advantage of this sale and use the coupon code SAVE10 at check out.Enjoy a premium quality desk set from Dacasso, a leader in luxury office accessories. Order today. View this black leather desk set. Don't forget to bookmark this page for the coupon code. 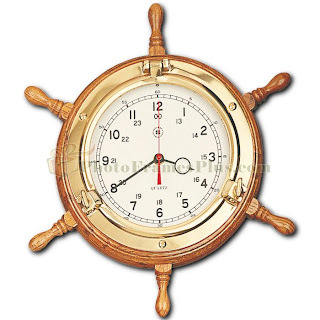 For the executive that loves to sail or yacht there is really no better gift idea than the Ship Wheel Clock. It's refined in taste and reflects their hobby so it is bound to land a special place on their mantle or office wall. That is why these are great original executive gift ideas. A ship wheel clock is a classic piece of decor that nautical enthusiasts all appreciate. Whether you find a wooden ship wheel clock or a brass ship wheel clock, the decorative accent is sure to be appreciated. One thing to look for when buying a ship wheel clock is strong materials for the base. Beveled glass is also great for the lens over the clock face. High quality quartz clocks will also be more accurate. The office is a whole new world sometimes when it comes to decor. There are a few things you just have to have on your desk, like pencil cups, memo holders and of course your family pictures. The easiest and sometimes only way to include your entire family on your space-eating desktop of today is to use collage picture frames. 1. Floating Glass Collage Picture Frame - This is an ingenious, space saving collage frame that is perfect for the office because of its modern style and glass border that matches any decor. Perfect for any and all offices. 2. Triple Hinged Wood Collage Frame - Takes us less space than three frames but more than the glass floating frame, and holds three vertical pictures. Ideal for offices that are a little larger. 3. Silver Triple Frame - Great for the office wall, this triple collage picture frame comes in silver finish for a perfect match to modern offices. Search for more collage picture frames for your home or the office. There are frames in all kinds of styles, with double mattes and metal or wood frames. If you work in a busy office a desk clock is an excellent accessory because it keeps track of time and can also become a centerpiece when you are visiting with clients. It has to be nice however, if you want to make a good impression. So, where do you find those really nice corporate office desk clocks you see on other executives desk? They are sold only in a few niche stores that cater to offices and executives. They are not sold at large retail box stores. If you want better desk clocks in fine finishes with themes that you can relate to, visit photoframesplus.com. They carry all manner of desk clock and office accessories including fine El Casco Gold and silver clocks. These desk clocks are perfect for the executive office in an upscale corporate building and they will help you build a better atmosphere in your office. Make your visitors more comfortable and project an image of success with these fine office desk clocks. Know a soldier returning from Iraq? Be sure to thank them for their service with one of our gifts for soldiers. We feature some great US Army plaques that feature hand color filled US Army logos on a real wooden plaque. These gifts are used to commemorate a special deployment overseas, or an achievement or service award while in action. This real, wood and brass US Army plaque could be used in a Sergeant's office or den. It may just be one of the best things a soldier receives as a gift after returning from the war. Plaques are the perfect way to commemorate any type of event or medal. It is not easy returning home from battle, but a plaque is one of those soldier gifts that really makes a soldier feel like they have done something important. This US Army plaque is also engraved anyway you like on a brass plate that is mounted to the wood plaque. Take a moment and engrave your own special message, a name or date and make this a personal gift for a soldier. A drink coaster is an excellent corporate gift idea. They are suitable for the office desk or home coffee table. They even come engraved and in a number of styles. Some of the more popular drink coasters for the office include fancy Gold and leather coasters. These are ideal for the boardroom as accessories and often make a great impression with clients. A good office is always outfitted with the best in leather accessories, whether it is an office desk set, blotter or pen holder. Our leather drink coasters will be an executive gift that you can be proud to give and one they will definitely remember. Have your fancy drink coasters personalized with an engraving or quote today and it will become a very welcome gift idea for any new employee, established CEO or executive. El Casco and Dacasso both make the best office coasters for executive and corporate buildings. They are also welcome gifts for the home or hostess at a dinner party. Finding the right gifts for her is not an easy task. She has some different tastes, or she has everything, either way you can't seem to find the gift that will make her swoon. Well, these choices might be a better option. If she already has everything then find a few gifts for her that are more original and personal. Anything you get that is engraved is going to land a special place on her dresser and in her heart. She'll always think of you when she sees it and remember the engraving you put on it. Another idea is to give her a gift that relates to a bigger one. A small personalized spa robe is an excellent choice to go with a weekend vacation to the islands. Or, how about a personalized jewelry box for that new bracelet or necklace. Where can you find gifts for her like this? There is a great selection right here. It's a great place to start. In the office morale is always a big issue, and it can be a big factor in your company's success. That's why we have great recognition awards that will help motivate your team. These recognition awards are made of the highest quality materials like real marble, crystal and high quality metals. They feature inspirational slogans and messages pre-engraved for added personality. You can also engrave your own messages or names on them. These recognition awards have been time tested and are used by many of the best companies. Employees do need recognition and reward that lets them know they are part of the team and appreciated. It lets them know they are getting up to go to a career, not just a job that gives them a pay check. See our fantastic recognition awards here. If you want to really make a good impression this holiday season, or during any other time when you need to buy and exchange corporate gifts (retirements, banquets, milestones, birthdays, etc.) then consider stepping outside the box. This doesn't mean buying something wacky or crazy, just something that is a little more inventive. See some great, historical model airplanes that would make excellent corporate gifts. Model airplanes have long been enjoyed by enthusiasts, former airplane pilots, historians and anyone with an interest in flying. This could be true for the executive in your firm. They might have an interest in aeronautics, or maybe you actually work for a company that is involved in aviation. Either way, airplane models make exceptional corporate gifts. They can be given to an individual, or the entire company. Airplane models are sometimes used as decorations in an office or board room. They are a spirited and adventurous gift idea that corporate officials are bound to appreciate. There are more historical and detailed model airplanes that are more suitable for adult gifts from Authentic Models. They have commercial planes, famous planes and World War II airplane models. It's a very upscale choice. If you run a business you know how important motivating employees can be. That's why so many businesses make an investment in their employees every year. Sometimes the smallest things can really turn an employee around. Things like inspirational gifts can make all the difference. These inexpensive plaques, trophies and accessories are a great way to really stretch your budget. Inspirational gifts have proven to increase morale and help employees establish goals which makes them focus and work harder for you. They are also very affordable when you consider the returns you get from this small investment. Some of the better inspirational gifts include desktop trophies engraved with quotes, plaques, crystal paperweights and more exciting items. They are a wonderful way to reward an employee, especially when times are tough and they are needed the most. Browse through these inspirational gifts and find some that meet your business goals. They are designed for nearly every personality and goal. It's not hard to find really good medical gifts for the health professional. You can find bookends, desk accessories and more office supplies with Caduceus symbols on them, which are perfect for birthdays, weddings and anniversaries. They represent their profession and are also very functional. Whether you are shopping for a doctor, nurse or other health care professional these fine medical gifts are the perfect choice. They can also be engraved with their name, a date or another inscription. If you want to have more choices in medical gifts and want to really make a good impression, just take a look at these items. They are made by top manufacturers and they are extremely appreciated by those in the health care community. They come in marble, brass and wood. There are many engraving options as well. There are some great stock market gifts and accessories that really add to the financial office. Whether you are in a firm or have a small adviser office downtown, you can create an atmosphere of wealth and prosperity with these classic ideas. Bull and bear statues always make the best stock market gifts. They are made in silver, brass, gold and marble with real bull and bear replicas. Each is designed for the broker or adviser. Another idea is classic clocks and accessories with stock market symbols. These stock market gifts are ideal for the holidays and will be popular around the office. You can also find a selection of great stock market gifts for larger firms which include wall clocks, desk statues and bookends. These can be engraved for a personal touch. A little more expensive, they will make the right impression. Medical bookends are great gifts for doctors, medical school graduates, and others in this large profession. There's many reasons for this. Medical professionals take great pride in their careers, and they all respect the symbol of medicine: the Caduceus. This symbol is featured on medical bookends and is usually either made of brass or another metal. It adds decor and makes the bookends a professional gift choice. Books and study is a large part of the medical field. Many doctors study for several years before they ever do a residency, and when they do their residency they never stop researching and reading. Medical bookends will always be a part of their home and office, an important and notable decoration that will organize and hold their medical books and journals. Take a look at our medical bookends today. They are made of black marble and have brass and silver Caduceus symbols. They can also be engraved. If you are searching for the right professional gifts for him, search no more. We have several great ideas that will make incredible gifts for him at any career level. These gifts can be engraved or plain. The best gifts for him always relate to his interests inside and outside of work. That's why there are many golf gifts for him that make ideal professional giving. Golf pen stands, business card holders and other unique accessories are a great idea. We also feature fancy gifts that are perfect for his office. A gold cell phone caddy, business card holder or other item is an excellent gift choice. Try to locate El Casco office products, they are handmade in Spain and imported. Each one is hand polished for a brilliant shine. They are great for career milestones and more. Other ideas include professional accessories like business card holders and desk sets. They are all perfect gifts for him. Today, more than ever when salaries are slashed, bonuses halted and health insurance cut to shreds, it is important to reward and appreciate your employees, other wise they have no real reason to perform at their jobs. That's why today more businesses are buying employee awards to help boost morale and give the employees something to work towards. Good employee awards really can change an employee's attitude. It makes them feel like all that work and sacrifice they did trying to help your business grow was actually worth the effort. In fact, studies show that employees are more likely to quit their job, regardless of whether they have another one lined up, when they don't get any reward, bonus or special recognition for their hard work. Employee's awards or recognition plaques are a cost effective way to retain employees, cut down on turn around and bolster morale. That means more money and profits and employees that work for you, not against you. The best employee awards are engraved with motivational quotes and represent what your company is all about. Whether it is effort, persistence or love, there are awards that suit your employee's traits. Order yours today at now discounted prices. There are many ways to make a good impression at your company and in your chosen field and profession. One is very simple and part of protocol. That is to exchange the right executive gifts to peers and colleagues. The executive gift is just a way to show you appreciate someone's professionalism and respect their good standing in the community. It can be given at a special occasion, corporate party or banquet. Executive gifts are also given when someone achieves a milestone in your field. For instance, they publish a book, graduate with an advanced degree or receive a promotion. One way to make your executive gift stand out is to have it engraved. 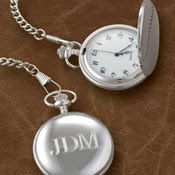 At Photoframesplus.com you can find many engraved executive gifts that are perfect for virtually any occasion. They suit every type of profession, in fact you can even search through the categories for gifts by professions. What's even better is the new executive gifts can be engraved in smaller quantities without a large fee. That helps you save money and makes everyone happy. Take a look at these new gifts right now and find one suited for your next corporate occasion. Leather photo envelopes are a great accessory for the business person. They can store photos and documents to protect them from wear, water damaged and bending. They are also fancy enough for the boardroom and upscale parties. A new leather photo envelope also make great gifts for corporate professionals. It is the type of gift that shows style and is personal. Anyone can use an extra storage case for their photos. These are easy to transport, they travel well and also make a great impression. You will find many types of styles of leather photo envelopes too. The best include rhinestone accents, fancy brass or silver clasps. Other's come in embossed crocodile pattern leathers, smooth glazed or other finishes. They can also be engraved. A leather photo envelope is a great gift idea for any occasion including a wine party, corporate party or event. Order them as an employee gift too. Where can you find really nice but unique engraved motivational gifts and awards? It's OK to just buy the same plaque every year, but what if you want yours to really hit the mark this year? And how about every year after. Well, Photoframesplus.com specializes in engraved motivational gifts that can be personalized in a number of ways. They even have pre-engraved motivational gifts for the office, banquets and more. 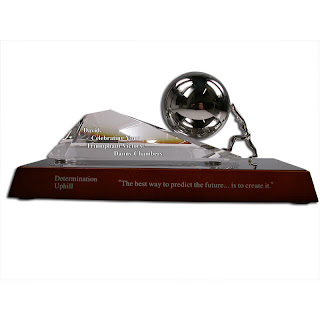 They have a great selection of engraved awards as well from crystal paperweights to desk plaques, globes and other recognition awards. If you are in charge of finding something that everyone will appreciate, but is specific to your company there really is no better choice. Check out there selection of great motivational gifts and engraved awards today and find something perfect for your next corporate event. Be sure to check all their categories and ask about bulk discounts and engraving options. You'll be happy with the price and service your receive. Lawyers and attorneys are hardworking professionals that can be very integral in your life. If you know an attorney or lawyer who has helped you out in a legal situation, don't forget to honor and thank them with the right lawyer gifts. There are many different options when it comes to give your lawyer a gift. From bookends to office photo frames and even fruit baskets there are good and then there are great lawyer gifts. It is customary to give a lawyer something they can use in the office, and for a lawyer that means giving them something that relates to the field of law. 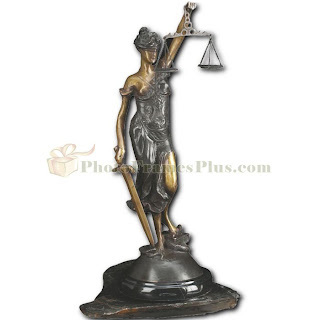 A pair of lawyer's bookends, a clock or pen stand with the legal scale of justice on them are an excellent choice. This shows respect for their profession and they will be happy to add it to their office. Another great idea is a real Lady Justice Statue. This will look incredible in a lawyer's office and since it is not very expensive, it is a practical and great lawyer gift idea. Click here for some more of the best lawyer gifts online. There are many great gift ideas for military personnel which show respect towards the commitment that they have made for our country. Whether it is an enlisted man, sergeant or 4-star general you will find several excellent military gifts for Christmas, birthdays and anniversaries. There are plaques, novelty clocks, WW1 and WWII historical replicas and more. You can even turn a functional item like a three time zone clock into a military gift idea. Don't think your military gifts have to have a US flag on them or be all about tanks and guns. Military men and women appreciate anything that they can use while being deployed. Travel clocks and multi-time zone clocks are one of them. Have these engraved as a very special military gift for the person you love today. Many times the engraving is free. A leather cigar case is a great professional gift idea. It's functional, traditional and very nice. Many leather cigar cases are given as a retirement gift, but they can be given as a token of appreciation for a special favor or on a birthday. Anniversaries are also a great time to give these gift ideas. Look for high quality when you buy a leather cigar case. You should consider the quality of the leather, stitching and over all design before you buy. You'll find the best deals online where stocking and warehousing costs do not cut down on the profit margin. There are many great manufacturers of leather cigar cases out there and you can find them at niche stores as well as popular shopping sites but for deep discounts look here for a really nice, handmade Italian leather cigar case. If you love the markets or like to trade and profit, you will love the bull and bear bookends that feature the classic symbols of our financial system. These bookends are made for investors and traders. They are great stock broker gifts and excellent ideas for executive offices. They reflect excellent taste and insider knowledge too. If you are looking for a few great gifts to give to your investment broker or just need something new for your office, consider one of these sets of bull and bear bookends. They are an ideal addition to any great office or home. Each is made of fine materials like marble, brass and carved in exquisite detail. 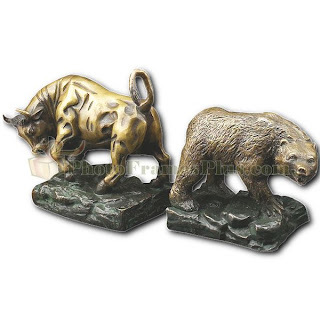 There are few examples of bull and bear bookends like this and they are all priced very low. Being part of the investing community doesn't stop at picking the right stock and taking profits from the market's swings. It requires knowledge and skill as well as patience and social skills. Sometimes you can make a better return on an investment in stock broker gifts, they you can with the stock of the moment. That's why so many people do make the investment in better stock broker gifts. They realize that to stay on their game they need help and to get that help they need to be appreciative of those that can provide it. So, where do you find them and what the best stock broker gifts? Bull statues are one of the most popular. They come in marble, brass and bronze and they go with all kinds of decor. Another option is stock market bookends and clocks that feature the bull and bear symbols. Each one shows respect for the industry and makes a rare but appreciated gift for the special broker. You can find them at Photoframesplus.com in their gifts for stock brokers section. If you are looking for a few more professional gifts for doctors than look no further than Photoframesplus.com. They offer some of the best doctor gifts and medical gifts around. They have a large assortment of items that any good doctor would love. Plus, they have some original things as well. From a desk top magnifier to a prescription pad holder with a caduceus symbol, there are many great medical gifts to choose from. These are great gifts for doctors because they have the Caduceus symbol on them. Any good doctor will appreciate the extra thoughtfulness you put into this gift because it represents their profession. A few more great ideas include crystal clocks with a caduceus symbol, tic tac toe sets and bookends. 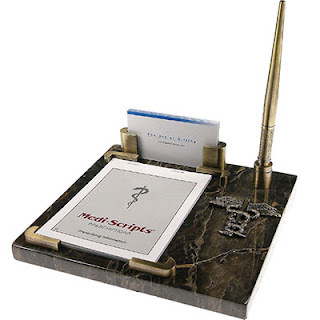 The marble medical bookends are a very popular choice. They match all kinds of interiors. Your doctor is a very special person so make sure you thank them properly with high quality gifts for doctors like these. The right gifts for professionals are not always easy to find. They should match or at least be in line with what the professional does, and also complement their tastes. You'll notice that there are not many stores that sell items for a lawyer or accountant. But when you go online you'll see that there are many great items that these professionals would love as gifts. Some stores offer complete categories for gifts for professionals and they include everything from stock market gifts to doctor and lawyer gifts. They are very tasteful and perfect for the office. These professionals gifts are are also high quality, made with marble, brass and even gold. It is the right way to thank a professional who has helped you in your life. And they are the best gift ideas for the corporate environment. Take a look at these gifts for professionals today, organized by category. There are plenty of great wall street gifts for brokers, investors and financial advisers. They are very well-made and designed for the upscale office or home. They also reflect a market theme. The most popular wall street gifts include desk statues, clocks and other office accessories with bulls and bears. These really capture the essence of the market, since the bull and bear is central to the struggle of the two opposing forces that drive prices up and down. Great investors love to have these types of items in the office and home. They are very high quality and they always make a great token of appreciation. If your financial adviser has a birthday or special occasion coming up, or you just want to express you gratitude for a job well done, one of our great wall street gifts is an excellent choice. 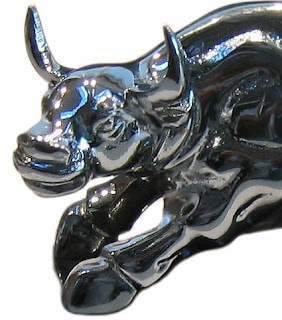 Check out our bull statue, clocks and smaller desk items they are made by top manufacturers and the are perfect gifts for investors. Maybe one of the most overlooked areas of decorating is the outdoors. Why? Most of it is done indoors because that is where most people spend all their time. However you can decorate an outdoor living space like a patio or deck with some of the most popular and unique decorations. The easiest way to add a lot of atmosphere to your pool area or flower garden is with an oversized wall clock. These decorations are functional and create a direct point of interest. They are made in hundreds of styles and feature high quality designs. The best way to go about using them is to first assess the area you are going to decorate. What is the theme of this area? What comes to mind when you sit here? Do you think about classical things or is it a modern Zen garden? Whatever it is there is an oversized clock made just for that feeling. Maybe the area has no theme and no decorations. In that case you can choose your theme. A large wall clock is a great way to start something new. That's because they always become the center of interest. So, choose anything that seems to fit the area but don't limit yourself, no matter which clock you choose it will strike a chord with guests. Find the most unique and decorative oversized clocks online or in your favorite store. They are an easy way to add a lot of atmosphere to your outdoor sitting areas. Check out more clocks and home decor and Photoframesplus.com. New article that features a great way to select your favorite types of cake toppers, from figurines to monogram cake tops! One of the best parts of decorating for your reception is putting on the cake topper! It's one moment that really puts an exclamation point on the entire party. It is even more fun when you have personalized wedding cake toppers you really like. The most popular of course is the monogram wedding cake topper. These are a great way to put your own personal mark on your reception. It is something everyone will recognize and they go with nearly any kind of cake. If you want the you need to look in the wedding outlets online. There you will find a big selection of the best monogram cake toppers. They come in all sorts of finishes and they are designed for every type of occasion. Choose one that matches your surrounding decor. If you are creating an elegant scene buy one that has added accents, jewels or looks modern and fancy. You can find them in cursive and regular styles too. You can also go with something a little more romantic like a glass heart wedding cake topper that can be engraved with initials. Whether you want something that is glitzy or a little more classic, you will find a monogram cake topper to fit the bill. You'll also discover they are inexpensive too. New post about wedding favors for 2009. Retailer is improving their selection of wedding favors and bringing out new and exciting designs for the Spring. A new line of wedding favors is coming to online retailer Photoframesplus.com. The new line of favors is from one of their major vendors, Fashioncraft and promises to be interesting, fun and exciting for this season's wedding shoppers. The new line of wedding favors includes a few new twists on old classics and a few altogether new and unique favors. It is notable because some retailers believe this wedding season will be much slower than others due to the economy. The new line of wedding favors is one way to entice shoppers into buying a few more wedding decorations and supplies. If they see something new they are bound to want to buy more. Photoframesplus.com is already adding the new wedding favors and supplies to its website, along with many other new products from several vendors. The past Christmas season was not as bad as predicted, however it wasn't great. Retailers saw a slight drop in sales overall, but online sales were still strong. Wedding season is the time when many niche stores that sell only wedding favors and decorations expect big sales. If the economy effects or slows down wedding season it could impact several online retailers. It is too soon to tell how this coming wedding season will be. One thing newly weds all love to buy is wedding favors, however. They make up the majority of sales for wedding stores, since items are bought for each of the guests. It is also one of the most competitive niche markets in the wedding industry. This new release was added today and it talks about the new personalized and unique 21st birthday gift ideas that a retailer is adding to their store. Makes you want to grab a cold beer! It's the biggest night of a young person's life... the day they turn 21. It means freedom, real freedom. The ability to go to any bar and finally have a beer, without sneaking in, showing a fake ID or lowering your voice and speaking two octaves lower. There has been no slow down in celebrating this occasion. Maybe the parties are a little shorter, and some people may not buy as many expensive drinks, but people are still celebrating. One online retailer is continuing to add products to their special line of birthday gifts just for this occasion. The retailer sells unique and personalized 21st birthday gifts like shot glasses, beer mugs, coasters and more. Their seeing more traffic to these pages and adding new products to these categories. The trend to find unique 21st birthday gift ideas hasn't slowed any either. People seem to want to get the most for their money if they are going to spend any during these slower retail months. The most popular 21st birthday gifts continue to be personalized beer mugs and custom shot glasses. They are just too fitting for this great occasion and too hard to pass up. A few of the newest 21st birthday gift ideas the retailer has added include a line of J. Charles drinking glasses, mugs and shot glasses. They are unique, and can be custom engraved with someone's name for free. There really is only one time in your life when you turn 21, so people want to enjoy it. And getting a few 21st birthday gifts is a great way to do so. If you want to see more 21st birthday gift ideas just visit Photoframesplus.com. They have an excellent selection of birthday gift ideas, wedding and party favors as well as other unique gifts. Everyone knows that planning a rehearsal dinner is difficult. Usually it is left to the last minute when you know for sure that all your guests are going to arrive in time for this part of the celebration. Most couples simply put off buying their rehearsal dinner decorations for too long, so when it comes time to shop for table decorations and supplies for this event, time is limited and they can't find what they need. Also, they aren't sure about the space where they are holding the rehearsal dinner, so they are unsure what to buy. How many rehearsal dinner favors do we need? What kind of catering should we hire? All of these problems add up when planning your rehearsal dinner party. That is why one retailer is making this event easy to decorate for. Wedding retailer Photoframesplus.com has updated its site to include a new section for rehearsal dinner decorations, favors and supplies. The new category is going to feature everything you need to plan for this event in easy to find categories, arranged by item. It's one way couples can save time while gathering up decorations for their wedding rehearsal. The wedding rehearsal dinner decorations and wedding favors are also priced low, so couples can save money as well. "Planning for the rehearsal dinner is not easy, so hopefully this will give planners and couples a better chance of making it work," Janet Foran who works at the store said. It is not unusual for couples to wait until the last minute, but now if they do at least they will have a better way to find rehearsal dinner decorations faster and at less expense. A great release about new rehearsal dinner decorations and supplies that are easy to shop for and easy to buy! Makes planning for the all-important rehearsal much simpler. New wedding favors and more from Kate Aspen. This is a new release on the wedding and gift industry. If unique and different with a quirky sense of humor is your thing, then you will like the new line of wedding favors by Kate Aspen for 2009. These wedding favors are funny and brand new. They were introduced this month and are being featured at Photoframesplus.com, an online wedding retailer. Kate Aspen is known for creating the best and most unique wedding favors. They always produce exciting new products and award winning designs. Last year they won an award for their color palettes, which gave customers the option to customize everything so it matched their decor. This year the company has come out with many new and exciting wedding favors http://www.photoframesplus.com/wedding-favors.html that are certain to please consumers. A few of the most interesting favors include their soaps and place card holders. They also have many new gel candles which are popular. Take the "Let's Celebrate" champagne flute gel candle, it is a real flute, with champagne colored gel complete in it's own favor box. They also feature several "With this Ring" wedding favors that feature wedding rings. These are the most unique wedding favors that have come out so far this year, and Photoframesplus.com said they were proud to offer them. There are many new and unique wedding favors on this website. Check them all out and buy the best for your wedding party today! This release is about the new wedding ring pillows that are available for this year. 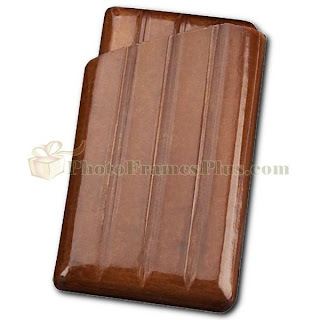 They are a great addition to a growing product line at Photoframesplus.com. Read the original release here. There will more choices for grooms this year as to how their rings come down the aisle. A new line of ring pillows is introduced at Photoframesplus.com a retailer of fine wedding supplies and accessories. Since the wedding season is fast approaching new accessories are being produced by all the top companies. This year the online retailer is expanding it's line of unique and custom supplies. They are introducing a new set of ring bearer pillows that is certain to be a hit. This collection of ring bearer pillows includes elegant and decorative ring pillows. Most of them can be customized as well. Many are available in white or ivory and include accents that come in different colors. In addition, each one has it's own theme and design. The store is featuring ring bearer pillows in many of the most popular wedding themes like beach, romance and elegance. The custom designs can be applied to many of the themed pillows as well. The most popular will probably be the beach ring pillows, the store said. It features starfish and other unique beach designs. Other ring bearer pillowthemes include a few contemporary and modern ring bearer pillows, as well as classical choices. The selection also includes Camelot ring pillows, and popular Calla Lily ring pillows. You can see more unique ring pillows and other pieces of wedding decor here. Different types of groomsmen gifts are on the menu at this retail store. They feature new and unique gifts and gift ideas for the grooms' best men. Published today, click here to view release. PRlog - Feb 03, 2008 - New is in and old is out when it comes to giving traditional groomsmen gifts in 2009, according to one wedding retailer. That's right, to old flask and cuff link set is no longer considered a favorite of groomsmen, not that it ever was. This year the store has added a few new groomsmen gifts to its line. They are featuring more modern gifts that are a little more useful and fun. It is in response to the slowing economy and the fact that consumers may not interested in spending money on traditional gifts that no one wants to buy. That has lead the store to update a few of their categories with better accessories, wedding gifts and more useful wedding favors as well. The new groomsmen gifts include a few fun and exciting ideas like poker chip sets, engraved beer mugs and other things guys like. The store owners say that people will be more apt to buy something they know someone will use, and are likely to drop spending on gifts that are seen as mere traditions. This is definitely one way to blend the two together and give people more of what they want in these tough economic times. Many believe this will be a rough retail season for weddings and other sectors, however consumers have surprised analysts in the past. We will have to wait and see if they go for these less traditional and more exciting groomsmen gift ideas. Take a look at the new groomsmen gifts, and other accessories at this retailer. They include cocktail shakers, money clips, flasks and other great gifts. This release mentions new decorations that have arrived in time for the Spring season. These wedding decorations include pull bows, pew bows and other aisle decorations as well as sashes and more! January 20, 2009 (FPRC) -- Retailer Photoframesplus.com is adding a host of new wedding decorations, favors and supplies to its site for the upcoming season. The new addition includes hundreds of new and exciting products and it is one of the stores biggest updates yet. These new products will be from their major vendors that include Wedding Star and Beverly Clark. These popular companies are creating new supplies and decorations for an up and coming wedding season that could see flat or bleak sales. One thing that remains popular are the wedding collections. "We sell a lot of those item," said Janet Foran who works for the company. Customers enjoy buying these wedding sets because they are inexpensive and include matching wedding decorations. Other popular items include new wedding favors by Kathy's Concepts and a few other vendors that the store works with. These include letter cake toppers with real Swarovski crystals and a gazebo gift card holder. This is a popular item similar to the birdcage card holders. The most exciting thing is seeing new products go online, the store noted. "Each item is unique and hopefully will be very popular," Foran noted. The economy may prevent some people from buying more wedding decorations and favors this year, but it does not seem to be stopping retailers from giving them more options. It's always better to put more choices on the table and let people decide what they like and what they don't like. That is the tact that this store is choosing to take. For the past several months the store has been adding new products and now features over 7,000 specialty items, from corporate gifts to unique wedding accessories. Take a look at these great wedding decorations and supplies. There are hundreds of great options to make your wedding unique and exciting. Check them all out right here. Also offering new and unique wedding gifts, supplies and accessories. A new press release about Wedding Star and their new items. This features new head pieces, jewelry, wedding veils and other bridal accessories. January 28, 2009 (FPRC) -- Retailer Photoframesplus.com updated their collection of wedding accessories this past week to include new bridal veils, jewelry, hairpieces and head pieces from popular wedding vendor Wedding Star. The classic and ornamental wedding veils are priced mid range, and feature soft and standard tulle fabrics with many different kinds of borders and decorations. The new addition comes just before wedding season and fills a void in their product line. Prior to this the store did not offer any wedding veils or head pieces. They offered many other wedding and bridal accessories including jewelry and other small items. The store will continue to add to their product line for brides as the season progresses. The new collection is part of their "wedding apparel and accessories" category, under the "jewelry and hair accessories" sub category. The broad category also includes jewelry and embroidered clothes for brides and grooms. Currently the store also plans to expand their collection of wedding favors to include the new Kate Aspen Spring collection for 2009. This features several unique and witty ideas for guests. The plan is to expand their product line to give this year's soon-to-be newly weds more choices and options. They are also focusing on high quality, and low priced accessories, to meet consumer's demands for lower priced items. The store is beginning to see more customers as Spring approaches. The addition of new products like their wedding veils and bridal veils allows the store to reach new consumers and become a complete, one-stop wedding retailer. They would like to offer as many new products this year as possible. The addition of the bridal veils is just part of their ongoing effort to expand their catalog of accessories. Shop for wedding veils, wedding headpieces and bridal jewelry today! These are great items and very unique! :: This press release talks about the new and unique cake toppers that are being made today. These include ethnic brides and grooms, plus Swarovski crystal toppers. New and unique cake toppers come to a retail store this year, including ethnic brides and grooms and Swarovski crystal monogram cake toppers. Jan 29, 2009 – Photoframesplus.com introduced a new line of unique wedding cake toppers. The new wedding cake toppers include both humorous bride and groom figurines, as well a monogram cake toppers. Each one is designed for a specific type of wedding, with a design and style that is made for the most popular ceremony decor. The new collection features several different new and unique wedding cake toppers from Wedding Star and Beverly Clark. Notable new items include a traditional Asian Double Happiness cake topper with Chinese characters, a funny wedding get-a-way car cake topper, and new Swarovski crystal monogram cake toppers by Beverly Clark. These cake toppers feature the famous Swarovski crystals as accents. There is also a new funny and unique wedding cake topper which features a shocked groom. This ethnic cake topper is quite unique and part of Wedding Star's new interchangeable ethnic bride and groom combination. The new cake toppers are part of the stores recent expansion bringing more choices and better products to their customers. Other new additions include a selection of bridal veils and purses. The store has had a long relationship with both wedding vendors and is pleased to help introduce their new items. Sales of unique cake toppers like this has been fairly good recently they noted. More brides and grooms seem to opting for a unique and funny cake topper, instead of just the traditional, routine cake decorations. Following this trend, wedding vendors have designed better and more unique wedding cake toppers here. The most interesting have been the interchangeable ethnic brides and grooms. These brides and grooms are available in several different elasticities including Indian, African American and Caucasian. It's just one small foot note on a chapter in history that has seen some amazing changes in perspectives. The cake toppers can be seen at Photoframesplus.com store. This release was published on several PR sites. If you have a press release about the gift and favor industry and would like to publish it here, contact us. This press release is about the new model airplanes at Photoframesplus.com. They include high quality, classic, to-scale airplane models of vintage WWII airplanes, classic commercial airliners, and famous airplanes. All of these model airplanes are made by Authentic Models. Click here to view the Authentic Models collection, and model airplanes. :: Retailer adds classic model airplanes to and famous fliers to its website. PRLog (Press Release) – Jan 28, 2009 – Photoframesplus.com has added a new line of classic model airplanes to its website. These airplane models are to-scale replicas of the some of the world's most famous planes. They are made by Authentic Models, who is well-known for creating classic, to-scale, authentic reproductions that bring history back to life. The new model airplanes are part of a large site update, which also includes other pieces of classic home decor and antique reproductions. These special, high quality model airplanes are excellent reproductions of many of the world's most famous airplanes. They include to-scale model warplanes of the Jenny Barnstormers, Fokker Triplanes and Sopwith Camel from WWII. They also include commercial airplane models like the Pan Am DC3 and more famous planes like Charles Lindberg's Spirit of St. Louis . The Hindenberg Zeppelin model is also part of this new airplane model collection. The model airplanes can be viewed here http://www.photoframesplus.com/model-airplanes.html. In addition, Photoframesplus.com has added new boats and other antique models to its store. Check out the Flying Jenny model, Sopwith Camel model, and Fokker Triplane. The store is adding more unique antique reproductions including furniture, posters, maps and more. You can check out their Authentic Models collection here. This post talks about Photoframesplus updating their links page. It is a helpful article for any store doing the same thing. You can view this links page and submit your own URL as a link to one of the categories. --- Online store Photoframesplus.com updates it's resources page by adding an easy-to-use linking software. Online retailer Photoframesplus.com has added a new links and resources page to their website that will feature several link category pages with URL links to many of the top wedding favors, wedding gifts, and corporate gifts websites. This page will allow other sites to link to their pages, and share a reciprocal link back to their own site. Visit the links page for more details. In order to make this linking feature more useful, the store is providing the software to run the links and affiliates pages. This means stores can link to Photoframesplus.com and receive a link back to their store very easily. They have added a "click and link" portal right on their website. The new link manager is part of the store's campaign to gain more linking partners. Links are vital to search engine rankings, however the links also need to serve a purpose, the store noted. Each link must be something that can help any customer find what they need, if the store does not have that item in stock. The new link pages are divided into several categories so customers can easily find stores based on what they want to purchase. The retailer said that this will make the store much more valuable to its customers, and possibly generate better word of mouth. Photoframesplus.com is now accepting linking partners to begin building the links page in weddings, corporate gifts, home décor and other categories. Additional opportunities for vendors who sell wedding favors, gifts and related products also exists at Photoframeplus.com. They can already place their store on one of the blogs run by the retailer including GiftsnFavors blog. The store is hoping to continue on the success it has had with its partners by exchanging more links and broadening their reach. The store sells discount wedding favors, wedding gifts and corporate gifts and office accessories, as well as home décor. There's a lot of them out there, but are they a good choice? Funny wedding favors are unique, they are creative and witty but what do guests think? Most guests probably really do enjoy them. There is plenty of drama and sometimes tears at a wedding, so adding a little humor (as long as it is appropriate) is a good idea. Of course there is some off-color humor at plenty of weddings (but we'll save that for the best man's toast). The good thing about funny wedding favors is that they can spark up some conversation at the reception tables. Plenty of companies make them so they appeal to lots of people too. When everyone has had their fill of drama, they'll gladly pick up a "Perfect Pear" salt shaker and at least try to crack a joke. There's going to be more on the way for Spring 2009. These funny wedding favors are just a taste of what's out there. They are also good for weddings, showers and other events. They are funny without going overboard and something everybody can appreciate, which is good for a favor. Another release about Kate Aspen's new line of products for 2009. These products are fun, unique and very new. They will be the Photoframesplus.com site in the coming weeks. Look for them then! A new line of wedding favors is by Kate Aspen is being released for the 2009 wedding season. The new line of wedding favors includes some new ideas, that are humorous, fun and a play on words, a trademark of the Kate Aspen line. The new favors include the "Love-sicle" Popsicle Soap, which is a bar of soap shaped like a popsicle, and the "Hot off the Grill" Place Card Holder, which is a small Hibachi that is also a card holder. Kate Aspen is well known for creating the most unique favors, and for breaking new ground in the industry. Last year they created a new color pallet that allowed people to customize and match favors to their decor. They also released about 90 new items. This year they are releasing 83 new items. It is notable because some retailers believe this wedding season will be much slower than others due to the economy. The unique wedding favors may encourage shoppers to buy more supplies and decorations this year. Photoframesplus.com is already adding the new wedding favors to its product line, along with many other new and exciting items for 2009. Check out these favors at Kate Aspen's site, at http://kateaspen.com. Retailer test drives auto gifts for people who love cars, and commuters who are just in them a lot! Jan 21, 2009 – Online retailers have always known that car lovers hold a special place in everyone's hearts. That's why several stores offer a section of gifts for auto lovers, or commuters. They include great car related gift ideas like heated travel mugs, or gear shift pen stands. One retailer has included several unique auto and car gifts in their collection. PhotoFramesplus.com has included several car gifts like an emergency escape hammer, electric heated travel mugs and more. The gift section is designed around their principle of giving customers exactly what they want, and making it easier to shop online. The retailer hopes the new auto gifts section will catch on. Right now it includes several unique gifts for car lovers check them out, these are great necessities and novelties for car lovers. One of my favorites is the emergency flash light with mosquito repellent. The online store also offers many unique corporate auto gifts for executives, which goes hand in hand with the car gifts section. Since many executives now commute at least an hour to their offices. The new section is part of an expanded line of corporate gifts for the online retailer which updates their products every day. These new gifts for car lovers are going to continue to be popular items, Photoframesplus.com noted. Check out these great new auto gifts, they include more than just heated travel mugs. There are emergency flashlights, race car steering wheel clocks and auto themed office accessories too!